Our fishing trips are very popular for professionals and novices, old and young, families and singles alike. All aboard the Mermaid II ! Penzance is a fantastic port for fishing trips, with its venerable maritime history and proximity to Britain’s best fishing waters. Taking in the breathtaking Cornish coastline, Mermaid II can take you to good fishing grounds quickly. Our boat trips are relaxing, enjoyable and entertaining. For those new to fishing Skipper Adrian Thomas and his crew will guide you through your first steps, so that soon enough you’re experiencing the thrill of sea fishing. And for those keen fishermen – well, you can just get on with it! 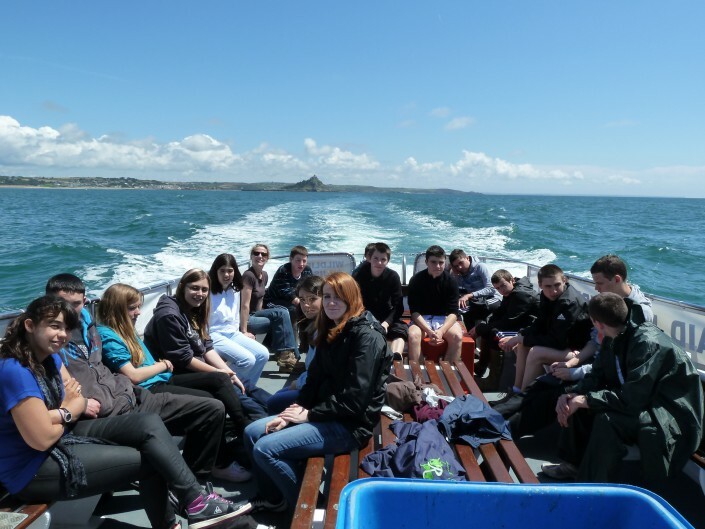 Our fishing trips make a fun and unusual alternative for Cornish holiday entertainment, birthday parties, stag/hen parties, family reunions, anniversaries, and any other excuse for a good time at sea. A great trip for first timers and suitable for the whole family! Ideal for the more confident angler. Half a day should be enough time to catch plenty of fish!